Here is a very nice - all original - TootsietoyAerial Denfense Set No. 5061 with its Original Box and Insert. 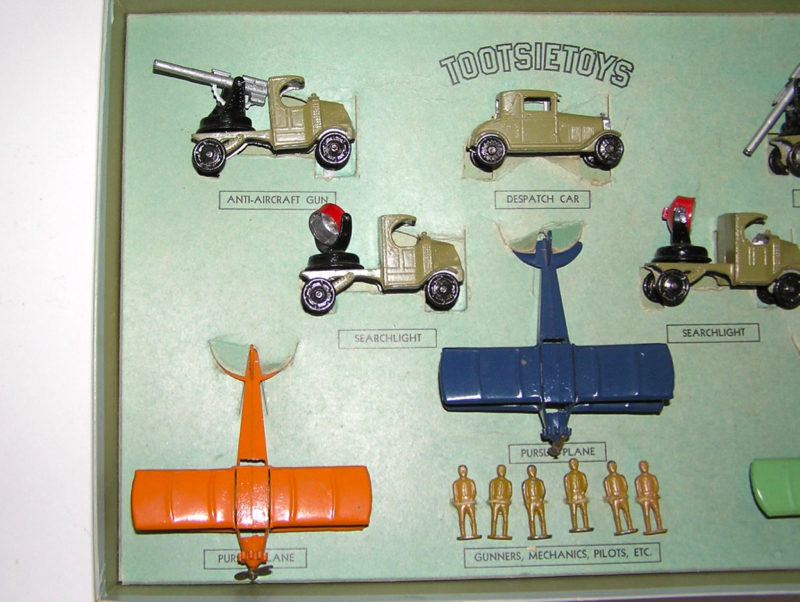 This die-cast set from the 1930s contains 4660 Aerodawn, (2) #4675 Bi Planes, (6) Pilots, (2) #4643 AA Guns, (2) #4644 Searchlights, 4655 Model A Ford. 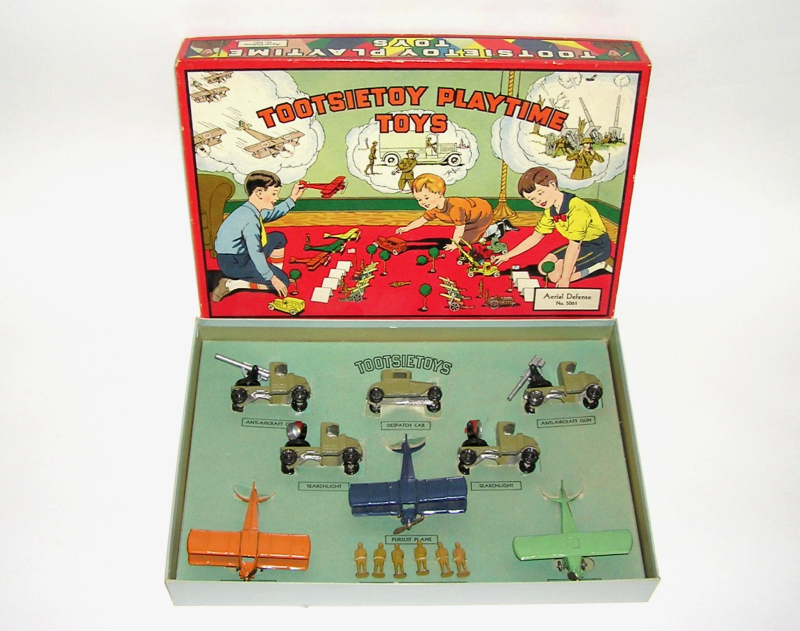 All in their original BOX and INSERT. 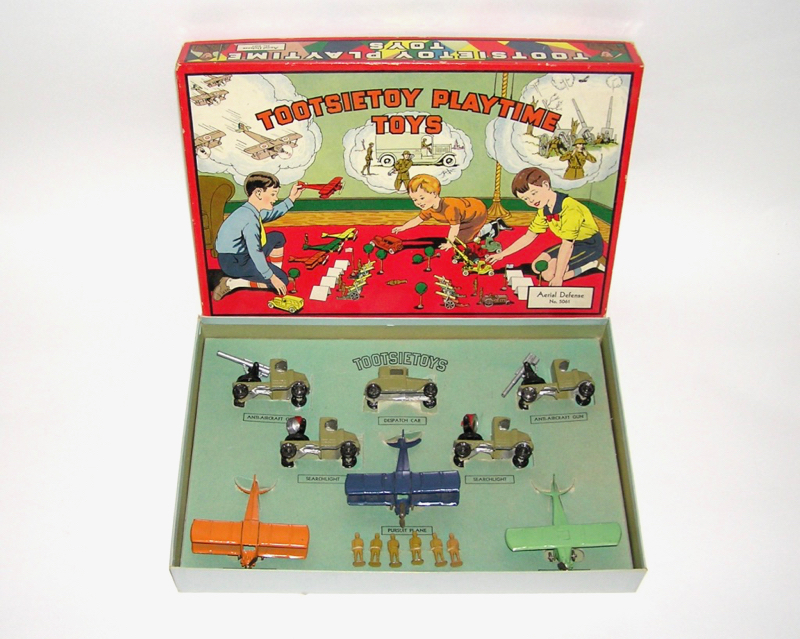 This set is in wonderful original condition - as seen in the pictures below. Minor wear. 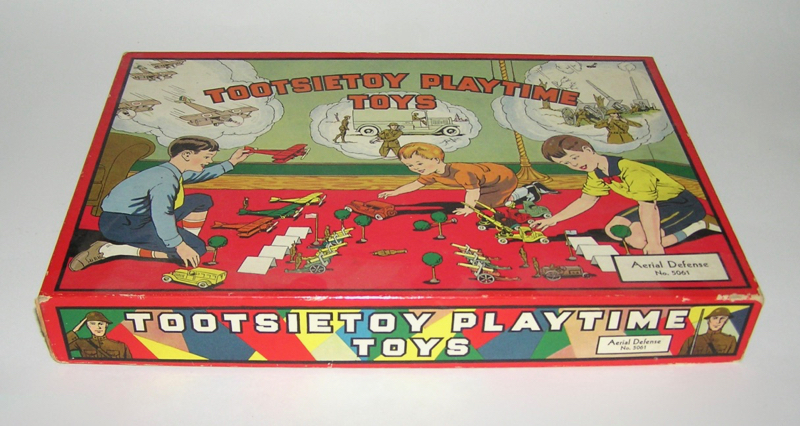 A great early Tootsietoy Set - don't miss. Buy with confidence. Thanks. Price: $750 Purchase Item! Click for confirmation page, with paying options.